Olive Grove Coffee Table. Unique cocktail table. Mediterranean style. The Olive Grove Coffee Table (Rectangular) was inspired by the serene beauty of olive tree orchards. Olive was one of the main elements in ancient Israelite cuisine. Olive oil was used not only for food and cooking, but also for lighting, sacrificial offerings, ointment, and anointment for priestly or royal office. The olive branch has been a symbol of peace or victory since ancient times, and was historically worn by brides and virgins. 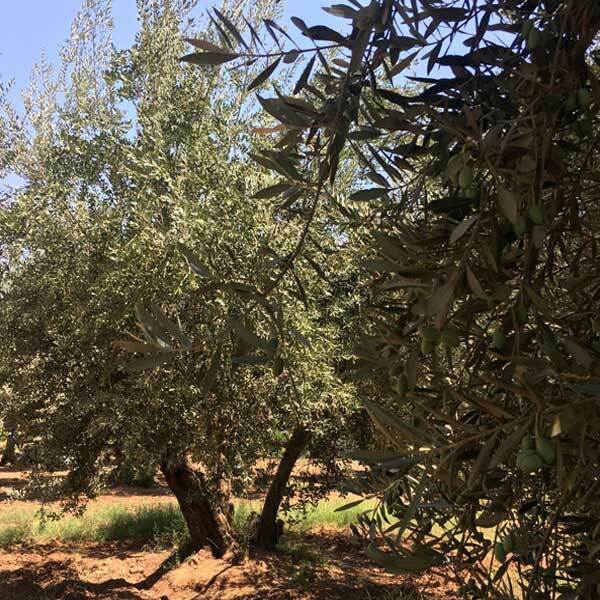 Leafy branches of the olive tree were even found in Tutankhamun’s tomb. The Olive Grove Coffee Table was designed by Shah Gilani, ASFD. Reminiscent of the natural beauty and mild climate of the Mediterranean Basin, from Portugal to the Levant, it makes an exceptional cocktail table for upscale residential and hospitality interiors. 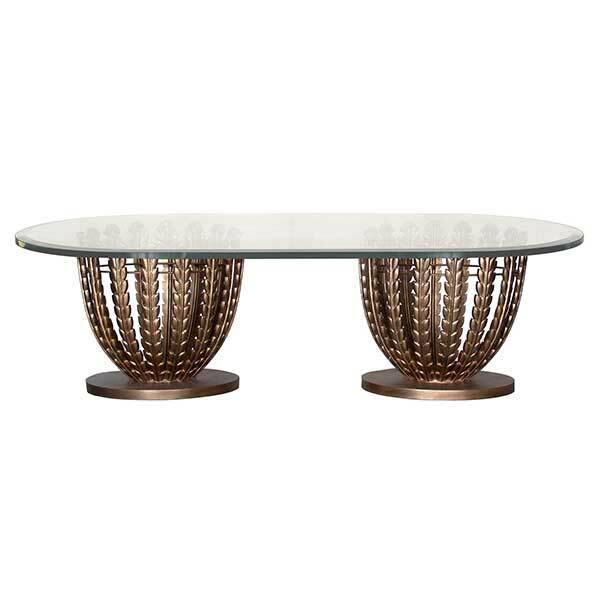 It is recommended that the Olive Grove Coffee Table base be used with a rectangular or racetrack glass top. Robust metal construction allows the table base to support a heavy glass top without shaking. Custom sizing is available. The table base is offered in a variety of finishes. Robust metal construction allows the base to support a heavy glass top without shaking. Custom sizing is available. Offered in a variety of finishes. This table design is also available as a console table, a side table, and a dining table.